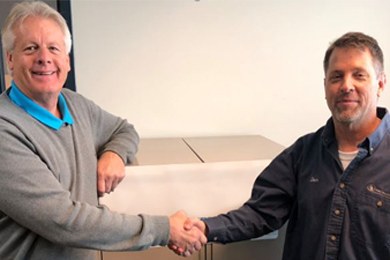 US-based The Siebold Company has continued its acquisition spree with DR Press Equipment taking it into the double-width parts segment. TSC president Jim Siebold says the purchase is aligned with Siebold's parts expansion strategy as it works to better serve a global customer base. The acquisition of DR gives TSC entry into the double-width web offset parts business, additional single-width parts and expert parts personnel. TSC corporate development vice president Christopher Miles says the move follows the acquisition of Dauphin Graphic Machines and Smith Pressroom Products. "Acquiring DR adds significant double-width and single-width press parts offerings to our growing parts inventory. "We are also very pleased that DR's Dan Dowejko has joined TSC and will remain active helping our customers with their parts purchases." DR Press Equipment has been providing web offset replacement press parts and related components to newspapers and commercial printers since 1987.